PRESIDENTIAL HOPEFUL GAVIN Duffy said he is financing his own campaign by remortgaging his home. The businessman, best known for his role on Dragon’s Den, was present at Kildare County Council where he called on local reps to back him to run for the presidency. Addressing the council, Duffy said he is using his own money to stop people thinking he “has been backed by big business”. 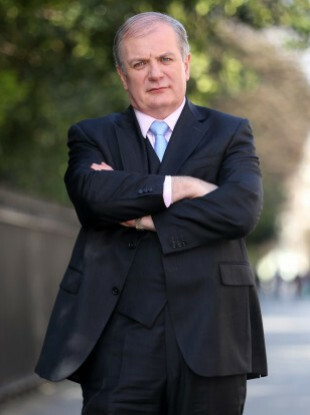 Councillors also quizzed the would-be president about his links to billionaire businessman Denis O’Brien. Duffy said that in 20 years of business, he has only been in the employ of Denis O’Brien or any of the businesses he owns for the sum total of 40 hours. Duffy set out his stall for his campaign and said that he wants to inspire a number of changes. His ideas include the establishment of an “Ireland International Youth Corps which our young people aged between 18 and 23 could join to serve their community at home for three months and then volunteer overseas in developing parts of the world”. Senator Joan Freeman was also seeking a nomination – as were artist Kevin Sharkey and lecturer James Smyth. Freeman said she wants to siphon some of the presidential salary to create a system similar to Britain’s OBE/MBE scheme. She said that that money would best be used to celebrate the volunteers who “work so tirelessly” for their communities. Freeman also faced the same question about how she intends on funding her campaign if she is successful in getting on the ballot. Be sure to check out our breakdown of all the talking points at the Kildare council meeting first thing tomorrow morning on TheJournal.ie. Email “Gavin Duffy said he had to remortgage his house to start presidential bid”. Feedback on “Gavin Duffy said he had to remortgage his house to start presidential bid”.